Roofing Superstore offers a wide range of coping stones for walls at our famously competitive prices, from Eurodec, the market leaders in coping stones, with over 50 years of experience. 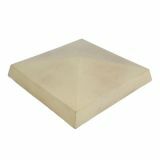 Whether you’re looking for flat coping stones, once weathered coping stones, twice weathered coping stones, or pier caps, we’ve got everything you need right here.  For any product recommendations, advice or guidance, feel free to get in touch – use the live chat in the bottom right hand corner, or give the team a call on 01752 692760 and they will be more than happy to help. 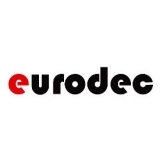 Additionally, Eurodec’s wall coping range can be made to order in any size – if this is something you’re interested in, give us a call and we’ll be able to get this sorted for you. Coping stones are relatively flat and square or rectangular pieces of stone that are installed on the top of walls to form a coping. Coping stones are generally slightly angled, or with a slightly curved top, instead of being completely flat. Coping stones for walls provide a number of benefits, aesthetically as well as functional. Firstly, coping stones create a seal on top of the wall. This will greatly reduce the potential for water to get into the wall structure, meaning that the wall is at a lower risk of being damaged over time through water running through the structure and slowly eroding it. Coping stones also help to direct the water away from the wall. Water will land on the coping stone, and run down towards the floor, due to the sloped surface of the coping stone. Instead of then running underneath the coping stone and towards the wall, a drip channel ensures the water drips off the coping stone here. This eliminates the potential damage that could be caused by water seeping into the structure and eroding mortar. Coping stones for walls also help to protect the wall from frost damage. Even without rainfall, moisture naturally gets into any cracks or crevices within the structure, and when this freezes, it can cause structural damage. The coping stone acts as a barrier, protecting the wall from having exposed surfaces that can be attacked by frost over time. This greatly increases the wall’s lifespan, and saves a great amount in potential repairs. 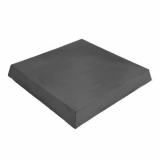 What are the different types of coping stone available? 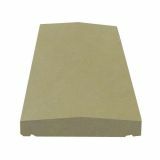 There are a number of different profiles of coping stone available to choose from to add protection to your wall, and each coping stone profile comes in a range of colours. Once weathered coping stones have been manufactured with a slanted top, ensuring that one side is higher than the other. This slope encourages water to run off the wall, instead of creating standing water on the top. Drip channels are created on the underside of the once weathered coping stone to ensure the water drips off the structure instead of running underneath the coping stone and towards the structure itself. Here at Roofing Superstore our once weathered coping stones are available in 600mm and 1000mm lengths, with widths ranging from 140mm to 600mm. The most popular height difference in once weathered coping stones is 50-75mm. 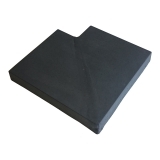 Twice weathered coping stones are manufactured with an apex in the middle to maximise run off. As with once weathered coping stones, twice weathered coping stones also have drip grooves on the underside to ensure the water drips off before running towards the wall structure – the only difference is the appearance of the two different coping stones varies slightly, so the choice depends on the final look you’d like to achieve. 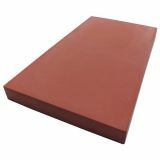 Roofing Superstore offers a variety of twice weathered coping stones, in thicknesses of 35mm-50mm and 50mm to 75mm in all four colours – grey, slate, sand and brick red. Flat coping stones are slightly different to twice weathered or once weathered coping stones. Instead of having an angled top surface to encourage run off, the surface is completely flat. Additionally, flat coping stones do not have drip grooves on the underside to aid with surface run off, meaning there are less barriers to water running into the structure and causing damage. For these reasons, flat coping stones are best suited to areas where there are lower levels of rainfall or exposure – they will still provide protection to the wall and prevent the surface of the wall from becoming damaged. 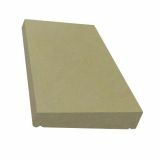 Flat coping stones are available in 5 different thicknesses, in lengths from 300mm-1000mm and widths ranging from 150mm to 530mm. 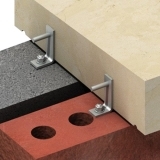 If you’re looking for a balustrade fixing, each coping stone in the Eurodec range can be upgraded to reinforced stone. Pier caps are a type of coping stone that is installed onto a pillar, gate post or pier. Typically, pier caps are square, and have a pyramid-style surface on the top. This protects the top of the pillar from erosion and damage over time, as well as ensuring water runs off easily, instead of creating surface water build up. 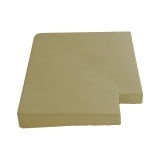 What colours of coping stone are available? There are a number of different colours of coping stone to choose from, meaning that there are no restrictions on creating the perfect looking wall which is protected with coping stones. Choose from colours including grey, slate, sandstone and brick red wall to create a wall with matching protective coping stones. It is important to note that natural weathering may occur as coping stones are typically installed in the outdoors and open to a variety of weather and precipitation conditions. Additionally, the range of coping stones may vary slightly in shade and colour, as each coping stone is manufactured from naturally quarried materials.